As appears in an article in the Daily Bulletin, published on Oct. 23rd 2017. RANCHO CUCAMONGA >> Immigration advocates are concerned a mother of four is facing deportation after she was arrested for having multiple street vending citations. Marcelina Rios of Ontario was selling corn at Old Town Park Oct. 13 around 2 p.m. when a San Bernardino County Sheriff’s deputy and Rancho Cucamonga park ranger stopped her, said Deputy Jacob Bailey, spokesman for the Rancho Cucamonga station. Bailey said the deputy, assigned to “solution-oriented policing” and is in charge of business licensing, contacted Rios about operating without the proper paperwork. That marked the fourth time Rios had received a citation and according to the city’s municipal code made it a misdemeanor offense, he said. She was booked into West Valley Detention Center in Rancho Cucamonga and was released after midnight, said Benjamin Wood, an activist and a staff member with the Pomona Economic Opportunity Center. The center is also referred to as the Pomona Day Labor Center. “When she came out of jail, there was two ICE agents waiting for her,” he said. Wood said he was alerted of the incident by a close friend of Rios. He interviewed her Oct. 16, and by then she had been transferred to the Santa Ana City Jail which houses immigration detainees. After being detained by agents, Rios was taken to ICE’s field office in San Bernardino and then to the jail in Santa Ana, he said. She has since been transferred to the Adelanto Detention Facility, Wood added. If officials were concerned about health standards, Wood asked why Rancho Cucamonga and other cities in the county don’t focus on achieving compliance rather than enforcement. The city could look at whether its licensing fees are too high or solutions that will ensure street vendors get their business licenses. Instead, this pushes more individuals into the “underground economy,” he said. In this case, it has also separated Rios from her children, who are all U.S. citizens and one who is severely disabled, Wood said. “She was definitely very worried about her 17-year-old daughter who counts on her mom for pretty much everything having to do with her care,” he said. Luis Nolasco, community engagement and policy advocate at ACLU’s San Bernardino office, said he was alerted of the case late last week and is trying to obtain all the details. Based on the initial work, Nolasco said he is concerned that Rios may have never been provided documentation that immigration authorities had been notified of her case, a possible violation of the Truth Act. Individuals that are booked at sheriff’s department jail facilities are advised of their charges as well as fingerprinted, photographed and medically screened. Those fingerprints are shared with the Department of Justice as well as federal and state agencies, which means ICE receives notifications of inmates when a person is booked, said Jodi Miller, spokeswoman for the sheriffs. “If ICE wants to investigate individual inmates further, they will send the sheriff’s department notification of their desire to interview or detain an inmate,” Miller said in a statement. San Bernardino County Sheriffs denied claims it violated state law. 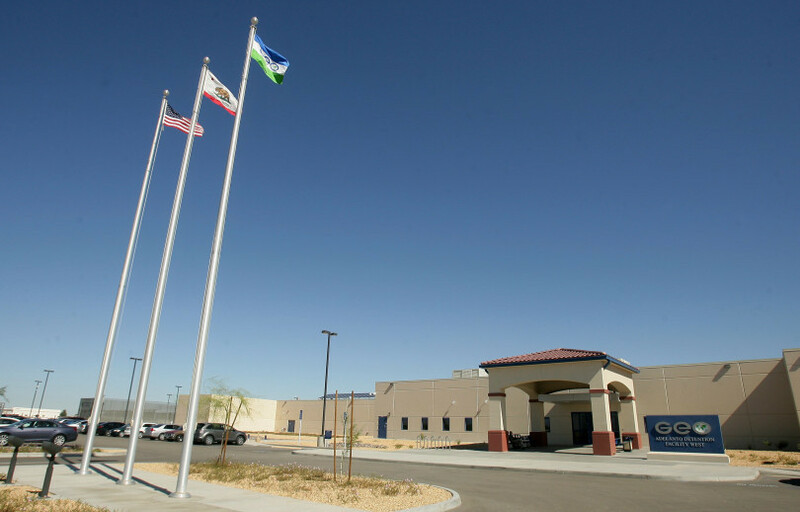 “The Department is in full compliance with the TRUTH Act requiring California law enforcement agencies to notify all inmates when ICE requests an interview, issues an immigration detainer, and requests any inmate’s information,” Miller said in the statement. Both Miller and Bailey said the department does not honor immigration detainers. Miller added that the department does not transfer custody of an inmate unless it has received have a warrant signed by a federal judge. “It is ICE’s sole responsibility to arrest any person on federal immigration laws,” Miller stated. Rios was encountered by agents outside the detention center, and based on questions she answered, was detained, said ICE spokeswoman Lauren Mack.